Transformers Age of Extinction hits theatres this week and the excitement for those who have loved the reboot is growing. However not everyone has loved Michael Bay’s vision of the Transformers. Who about you? Love the new Transformers? Excited for the newest installment? Or not so much? I am not familiar with either the original or the reboot, so I can't say whether Bay's changes are good or not. I do, however know how angry and upset I get when changes are made to a series/book I love to turn it into something new (*cough* Star Trek *cough*), so I can totally understand why people might not be happy. I hear you, I don't mind reboots, but stick to the canon material! Star Trek is a prime example, Transformers is another and I suspect Teenage Mutant Ninja Turtles will be a third. I am honestly not a fan of this series at all. I was a huge Transformers fan as a child, I loved the cartoon and the cartoon movie, I collected the comics and the action figures. 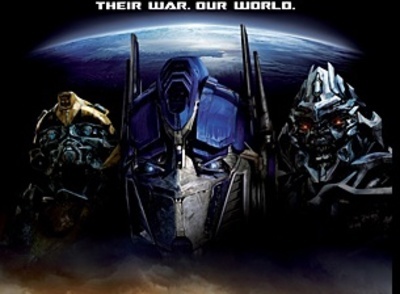 This vision of the Transformers world, to keep things civil, is a huge letdown. I'll leave it at that. Bad.. the worst Michael Bay movie.. tons of boring dialogue followed by tons of explosive violence... you get bit tired about it. Which deceased actor do you miss seeing on the big screen most?